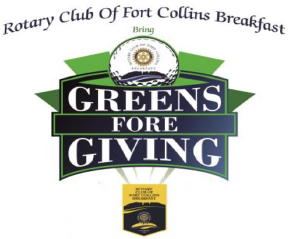 Greens Fore Giving is June 15th! There's still a little time to sign up as a player or sponsor for the Greens Fore Giving event! Grand Door Prize – Weekend Getaway to Monterey, CA. 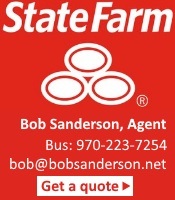 Package includes 3 nights lodging for four, dinner for four, transportation, golf, wine tasting, whale watching. 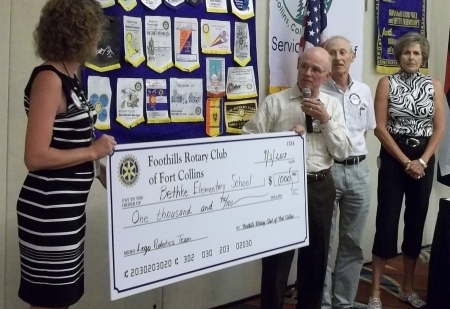 Remember that Bruce Hottman’s team won the grand prize in 2016 and had a fabulous time plus our club receives an allocation of the net profit of the event based on number of Foothills Rotary club participants. The recipient this year is Fort Collins Habitat for Humanity and Poudre High School’s Geometry in Construction program that constructs a Habitat for Humanity home. You can register online at www.greensforegiving.com. 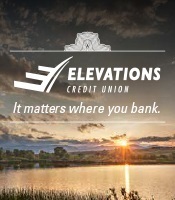 The cost per golfer is $145 and sponsorships which include golfing, banners and entries into the Grand Door Prize range from $250 to $5000. Check out that website for more information. Make sure to sign up by sending an email to Mike Hohl - there are still a few slots open. This is the day to apply our hands, minds and energy to our community! 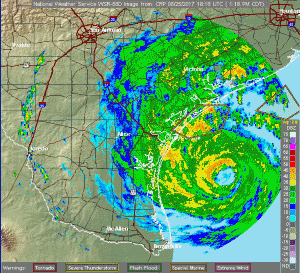 What is Rotation Day? This is a powerful part of Rotary's heritage, coming from the days where each meeting was held at a different member's location. Our club has done that once or twice a year, but in this case the focus is on "rotating away from our usual format" to make powerful contributions more directly. Our first Ale Trail proceeds! 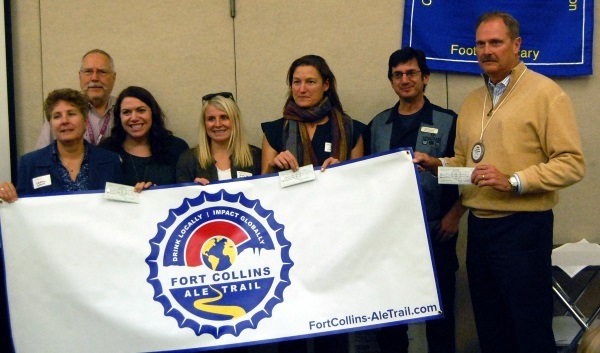 We are honored today to award our five beneficiaries of the Ale Trail donations! 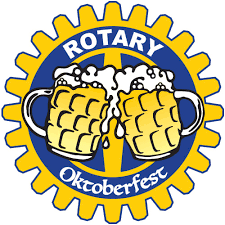 Come join us October 29 for the BREW (Beers Rotarians Enjoy Worldwide) Oktoberfest event starting at 6:30 at Horse & Dragon. This event is limited to the first 70 people. Cost will be $15 per person. Menu for this traditional Oktoberfest event will be: bratwurst, German potato salad, sauerkraut, strudel, pretzels, beer - first one free, and other beverages). Entertainment includes: a visit by the world renowned Oompa Meisters Trio and pre Halloween scary story telling. Menu for this traditional Oktoberfest event will be: bratwurst, German potato salad, sauerkraut, strudel, pretzels, beer - first one free - and other beverages. Entertainment includes: a visit by the world renowned Oompa Meisters Trio and pre Halloween scary story-telling. 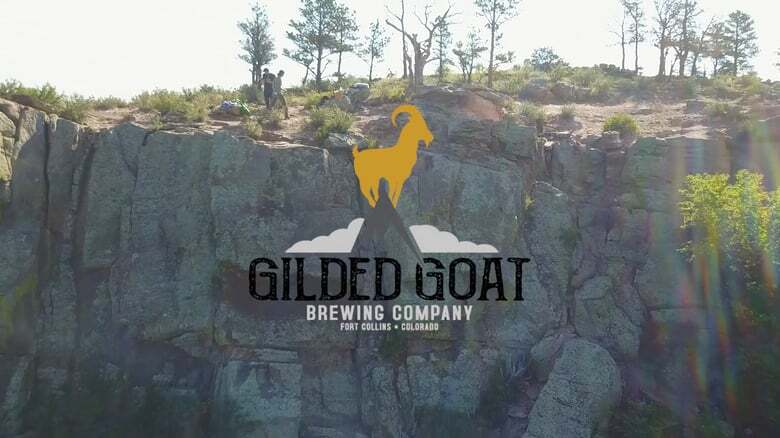 Ale Trail Day at Gilded Goat! 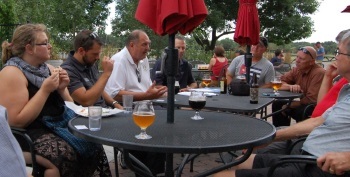 The Fort Collins Ale Trail and iHeart radio are sponsoring a monthly event at various breweries to promote the Ale Trail. We are calling the events “Ale Trail Days” and each event will be simulcast on Radio 94.9. 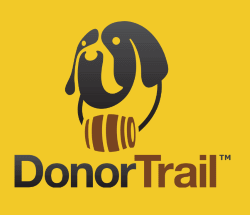 We will have several Rotarians at each event promoting the Ale Trail in our distinctive yellow t-shirts and will have prize giveaways along with the radio broadcast. The best part is iHeart will run 150 ads promoting the Ale Trail and the event for two weeks prior to each event. 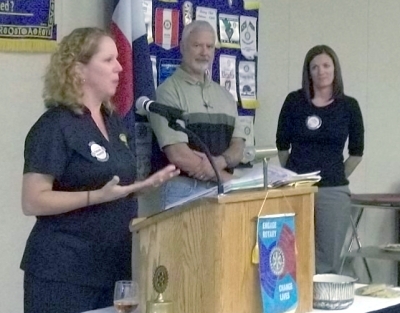 This is generating great awareness for Foothill’s Rotary and the Ale Trail. It was wonderful to have everyone engaged in our annual Club Assembly, both the noon and evening groups! 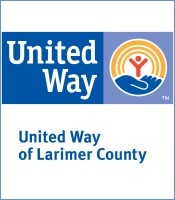 Support for Larimer County Food Bank! We're honored to be able to support Food Bank with our yearly Holiday Baskets project! And an extra $1700 donation today. An afternoon of bowling with plenty of Food, Fun and Fellowship. Please join us for an afternoon of Fun and Fellowship and help to eradicate polio from the planet! 4 new polio cases have been reported in Nigeria in 2016.Nigeria had reported zero cases of wild polio virus in 2015 and we were celebrating a polio free Nigeria. 34 new polio cases were reported worldwide -12 in Afghanistan and 18 in Pakistan. Until polio is completely eradicated, all of the more than 125 million babies born every year will need to be vaccinated for polio. $25.00 can vaccinate 42 children. All donations to Purple Pins for Polio count toward your Paul Harris Fellow award and receive double matching funds from the Bill and Melinda Gates Foundation. You will help rid the world of polio. With the Bill & Melinda Gates double matching funds, your $250.00 sponsorship is tripled and the $750.00 contribution to Rotary Foundation will pay for vaccination of 1260 children. 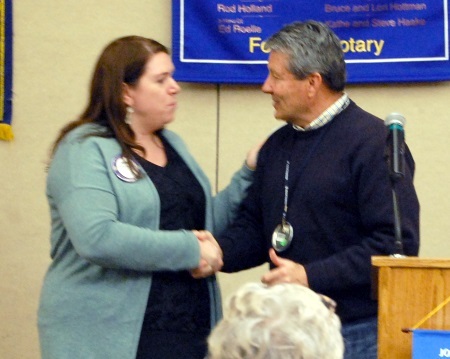 All donations count towards your Paul Harris Fellow awards.Consider contributing additional funds to your next Paul Harris Fellow award at this time when your donation is multiplied by 3X in total contributions to Rotary Foundation. 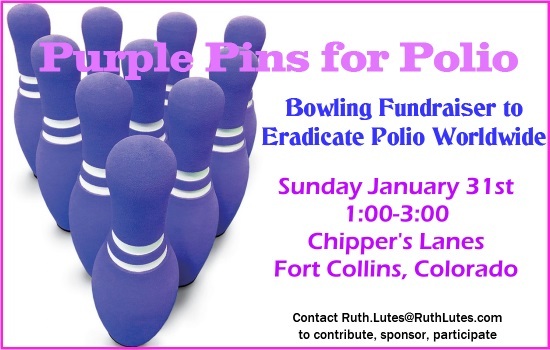 As a Sponsor of Purple Pins for Polio, your business name will be displayed at Chippers Lanes for the weekend of the bowling event and the Fort Collins Rotary clubs will notify all Rotarians in the area that you are a sponsor and recommend they patronize your business in appreciation of your generous support. 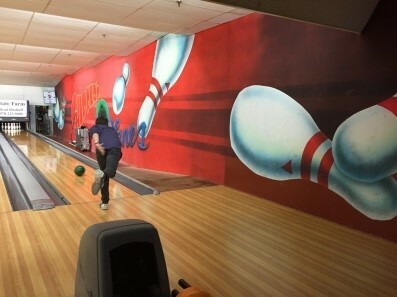 Whether you can join the bowling event on January 29 or not, you’ll feel good that you are a part of the cause. 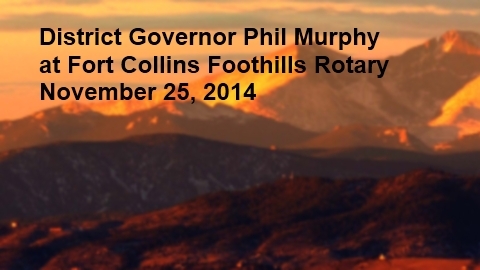 Foothills Rotary helps Coats & Boots! Our energetic Evening Group has been supporting the Coats and Boots project put together by the North Fort Collins Business Association. Interested? You can see more photos on our website home page. FULL CLUB meeting November 29! November 29th will be truly special: A chance for our noon group to meet up with our evening group! It's going to be 5:00-6:30pm at the Marriott, probably in the Pavilion. Come and meet up with everyone in a more relaxed, social atmosphere! 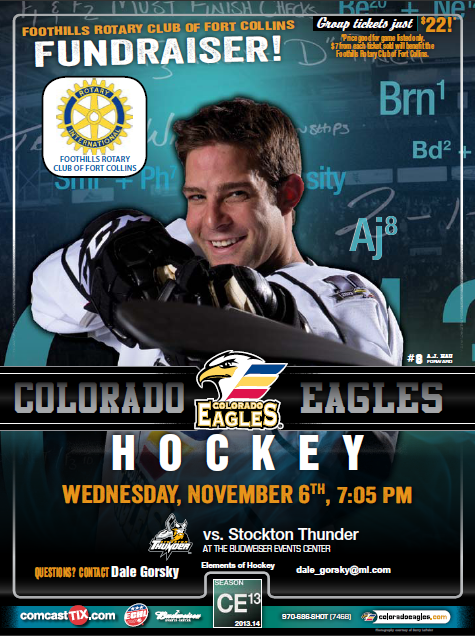 Support this great event - get your tickets here! The FCFR Evening Meetings are going great! Our club evening meetings are every other Tuesday (8/23, 9/6, 9/20) and are especially designed for people who are interested to join the club. Invite your friends and colleagues, and come yourself! These are 5:00pm at Odell Brewing, 800 E Lincoln. Help this be an amazing year of new Club members! Thank you, Bruce, and welcome Jacque! Bruce Hottman has been our magnificent Club President for 2015-2016, and we welcome the new leadership of Jacque Niedringhaus! Building garden for Teaching Tree! 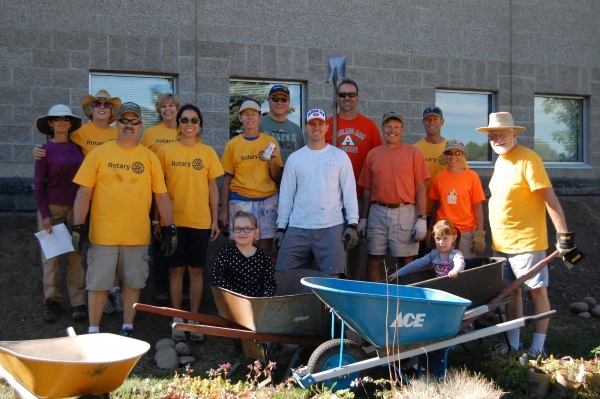 What a great day of building the new gardens at Teaching Tree in September - and this was just the morning crew! Let's make this the last year we have to raise funds for Polio! Final results from Peach Festival! The Peach Festival was another resounding success! We had a fundraising goal of $65,000. That was pretty aggressive, but we made $71,000. 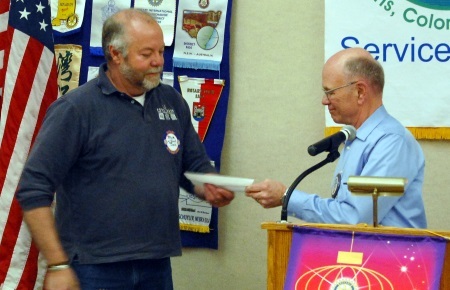 Our club received $6915, which we will certainly put to good use in our causes. Meanwhile, the effort also contributed $23,882 to STEM efforts in our community. Great work, everyone, and THANK YOU! FCFR commended for Polio Plus contributions! 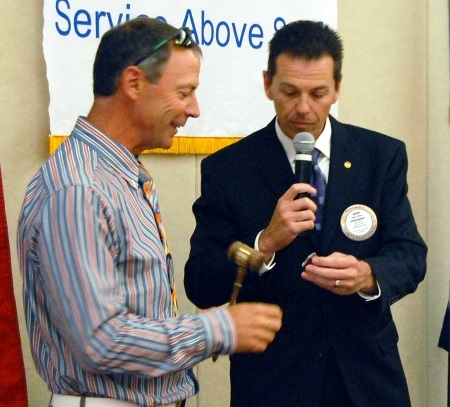 Today, Jerry Westbrook awarded our Rotary Club with a special commendation for our contributions to End Polio Now. And there's more to come after the Purple Pins benefit in 2016! 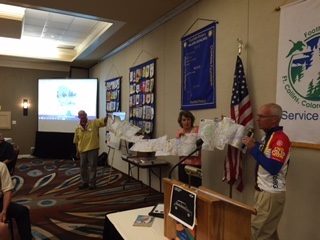 We are proud to see that the bikers completed their trek across the US and met their fundraising goals to fight polio! 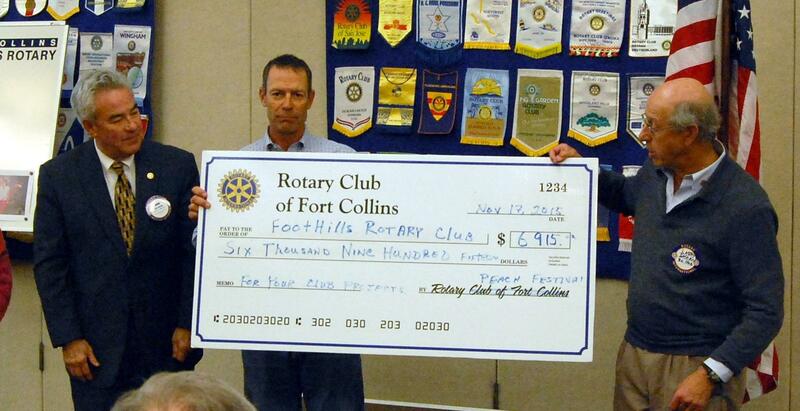 Foothills Rotary Club is honored to contribute $1000 to support the wonderful work that ChildSafe does in our community! I post about once a week about what's going on here. You can post on Facebook! Several people have wondered how they can share information and photos through our club's Facebook page. It's amazingly easy! You can go ahead and write something, or click on "Photo" to upload a picture from your computer. When you're done, just hit the button and it'll be made visible to hundreds of people following our page. 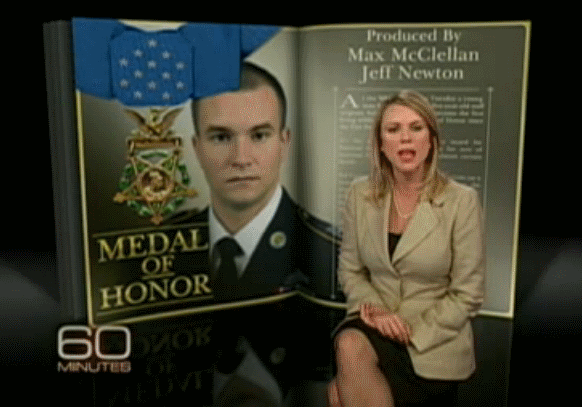 On September 15th, we are honored to welcome Sal Giunta, the first living Medal of Honor recipient since the Vietnam war. This is a special event, so you MUST RSVP by September 3rd using this link. It was great to be visited by our District Governor Ken Small, and AG Jerry Westbrook. We greatly appreciate Ken's support and leadership for District 5440! He mentioned the importance of the Guatemala project that we're starting. The need for clean cookstoves is huge, as there are a great number of respiratory problems due to burning fires in the homes. And it's dangerous for the children! 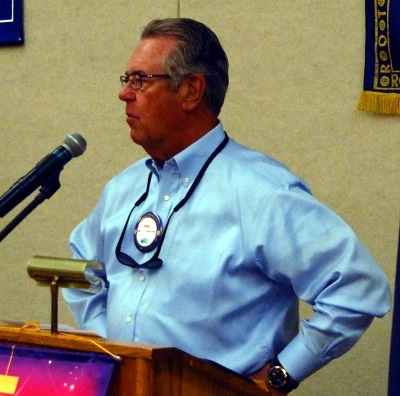 Ken reminded us that Africa has had no new cases of polio for a full year now, which is a direct result of Rotary's dedication for thirty years. Our contributions matter! District Assembly is October 3 in Cheyenne, and District Conference is May 19-21 2016 in Jackson Hole. These will be great events to work with our colleagues on some of the large issues we're tackling. And the RI Conference is May 28 - June 1 2016 in Seoul! 3) Sign up! It's Easy - you will NOT need to register an account or keep a password on VolunteerSpot. Just enter your contact information and answer the simple questions and you will be registered. The photos from the Changing of the Guard party are here! - and on our Facebook page as well. 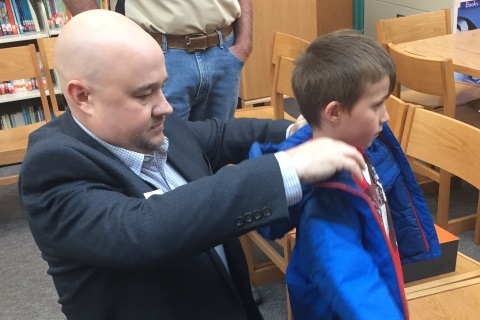 Fort Collins Foothills Rotary is proud and honored to support the great work of Book Trust - bringing literacy to our schools in Poudre School District! 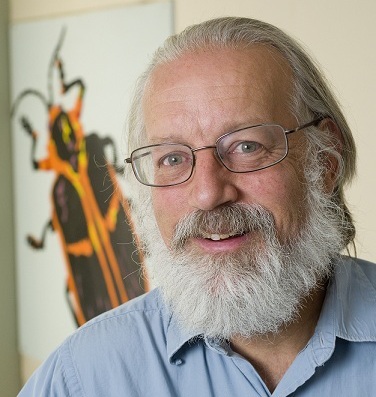 Welcome our new president, Bruce Hottman! I can't believe my year of being President of our club is here. We have a great club with a lot of tradition and I'm honored and humbled to be your President during the 2015-16 year! In working closely with our Leadership, our President Elect, Jacque, and having met with many members. I've outlined goals I’d like the club to achieve this year and next. Lastly, don't screw up a good thing! In my year and a half of preparing for this role I've been incredibly inspired by what Rotary stands for and what our club has accomplished over the years! However there is still a lot of service that is needed in our community and the world. 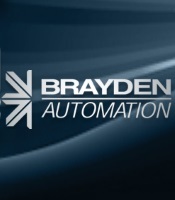 Let’s have a great year and continue “To Improve Lives!”. 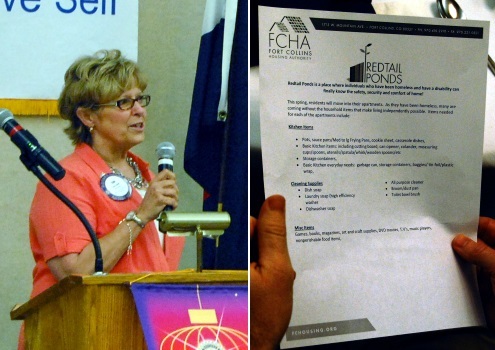 Teri Evans puts out a call for help and support today for residents in the new Redtail Ponds. All contributions welcome! Amazing results on the interest in RYLA and Young RYLA: 29 applicants and 39 applicants respectively. Our program here in Colorado is recognized as best in the nation! We're honored to support Partners Mentoring Youth today with a check for $1000. Thank you for the great work you do in our community! Our club is honored today to support Kids' Café at Food Bank to the tune of $1161 - to be used to replace disposable aluminum cans with more reusable solutions! Pay a compliment. Buy a coffee. Do something unexpectedly kind and thoughtful for another person. Show someone you care. Liz Miller consistently inspired others with random acts of kindness. She was a servant of people, a genuine burst of positivity, a believer in paying it forward. Liz left us too soon after a seizure stopped her heart when she was twenty - four. On this anniversary of her passing, the Jim, Suzanne, Alex, Laura, Sarah and Ben Miller family is continuing her legacy by encouraging others to “Do A Liz Thing”. One little ripple of kindness can make waves. Please participate on March 28th and then share it with us on the Facebook page www.facebook.com/doalizthing. You can post a video, a photo or just share your encouraging story. Help us celebrate her life by inspiring kindness throughout your community! 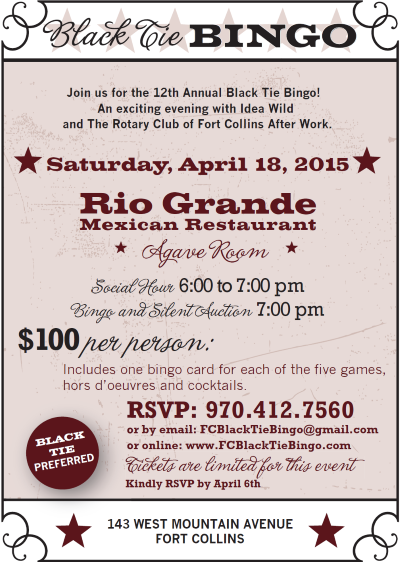 Black Tie Bingo on April 18th! 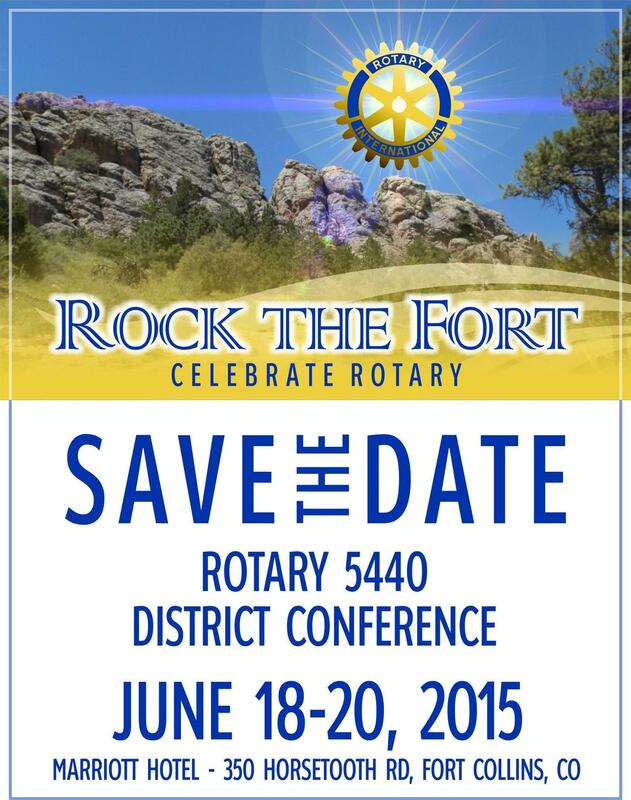 The District 5440 Assembly this spring is in Cheyenne at Little America on April 18th. Here's where you can get more information. This is a fantastic way to meet your fellow Rotarians in person, advance your knowledge, and make progress on larger projects! We are so honored to welcome three new members to the club today: Guy Mendt, Janet Mabry and Nancy Terry! 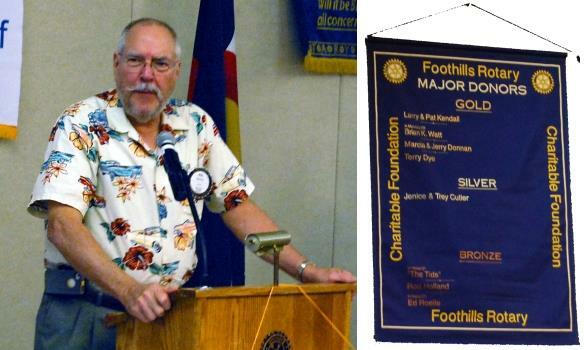 January 25, 2015 will mark the date of the 5th Annual “Purple Pins for Polio” Event put on by the four Rotary Clubs in Fort Collins. 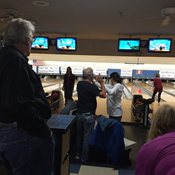 This two hour bowling event has raised over $45,000 in support of Rotary International’s world-wide fight to eradicate polio. Since 1985, Rotary International has raised $1.2 billion to help reduce the number of cases of polio in the world from 350,000 annually in 1985, to fewer than 250 annually today. There remain three countries that have not stopped transmission of the disease; Afganistan, Nigeria and Pakistan. We are this close! Remember that we now have a meetup.com page. It's important for people in the community to see that a number of members are involved in supporting this. So please take a moment, visit the meetup page, and connect as a member of the group. It will help us to reach out and attract other leaders in the community. Thank you. 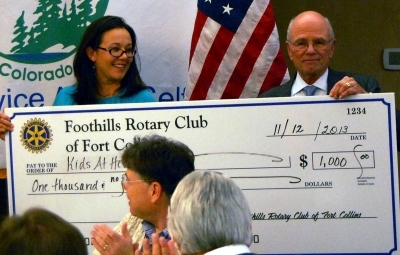 How much do you know about our Foothills Rotary Foundation? Well, the fund is up to about $550K now, due to many generous donations over the years - large and small. We support a number of scholarships to Project Self Sufficiency which helps struggling families to turn their lives to the better. Our deepest congratulations and honor to Cassidy Montoya of Centennial High School! 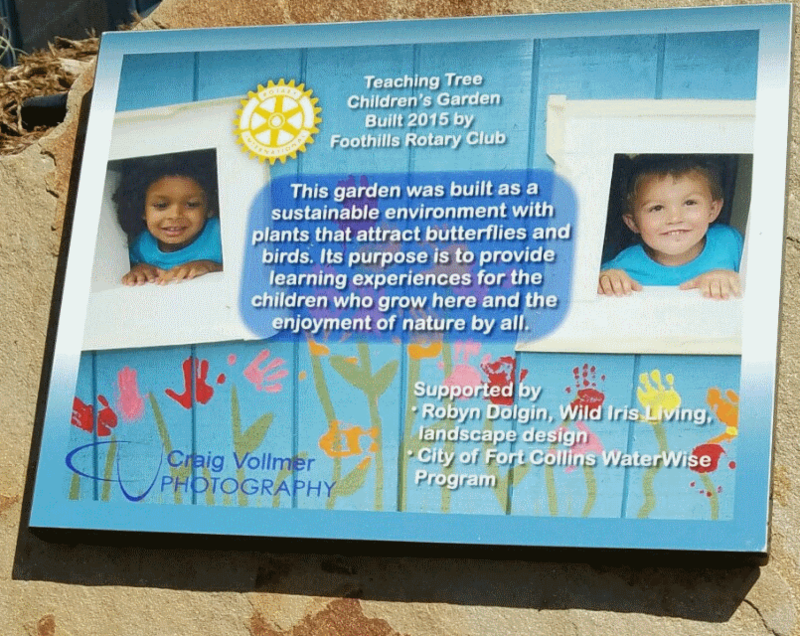 This was a joint decision by the combined Rotary Clubs of Fort Collins, and Poudre School District. 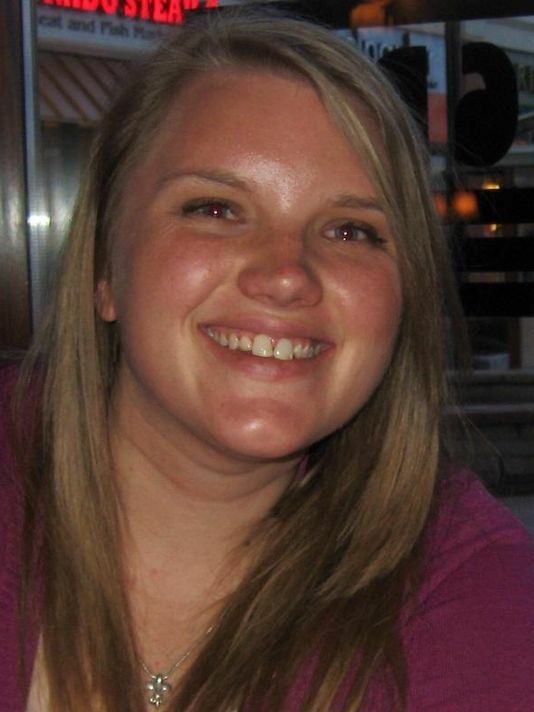 Cassidy Montoya is a social studies and financial literacy teacher and the Alternative Cooperative Education Coordinator at Centennial High School. She has worked in PSD for six years. Ms. Montoya initially planned to be a school counselor, but a principal advised her to become a teacher first so she would understand teaching and be better able to support both students and teachers. 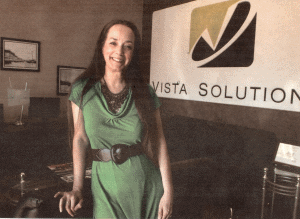 “That piece of advice was a game changer, and I’ve never looked back since,” wrote Montoya in her application. As a teacher, Ms. Montoya is most proud of the relationships she builds with students and is always touched when a Centennial student honors her at their graduation ceremony, either with a rose presentation or by asking her to walk them up the stairs during the ceremony. Outside of the classroom, Montoya coordinates elective credits for paid employment and volunteer work hours for students. She also takes a student team to the Junior Achievement Stock Market Challenge every year and helps find job openings for students. Ms. Montoya was nominated by Centennial principal Mike Roberts who described her as a teacher who sets high expectations for her students while providing the support they need to reach the bar. Here's another club contribution, this time to help Neighbor to Neighbor with their great work in the community. 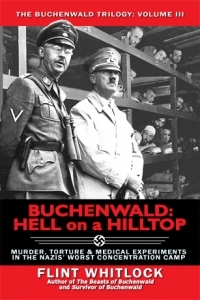 Flint Whitlock, an award-winning, Denver-based author and historian, will present an illustrated lecture about the Holocaust and Germany’s notorious Buchenwald concentration camp at noon on Tuesday, June 3, 2014, at Timberline Church, 2908 S Timberline Rd., Fort Collins. 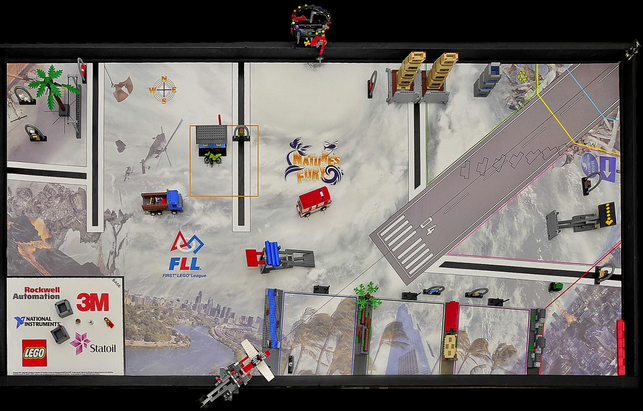 An excellent video produced by District 6780! Thank you to Mike Abrams and Kelly Meyer for all you've done to contribute to the success of our club! This has been a great asset for us. 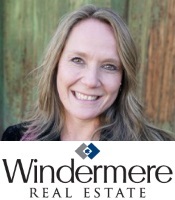 Welcome Linda Vomaske as our new Secretary, and Carl Dierschow as a club Director. Your shirts need to be ordered by February 20th. 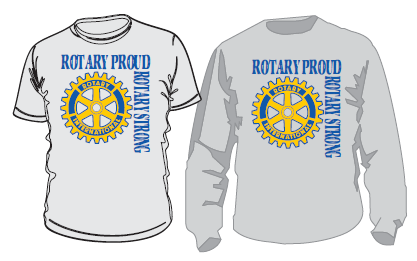 Give a check to Dale, payable to Foothills Rotary, for $15 for each t-shirt and $25 for each sweatshirt. It was an honor today to be visited by Julie Phares, District 5440 Governor, and our Assistant Governor, Arden Wright. 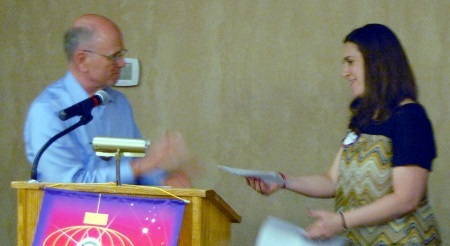 She told us about her "Rotary moment", when she first figured out why this is such an incredibly powerful organization. 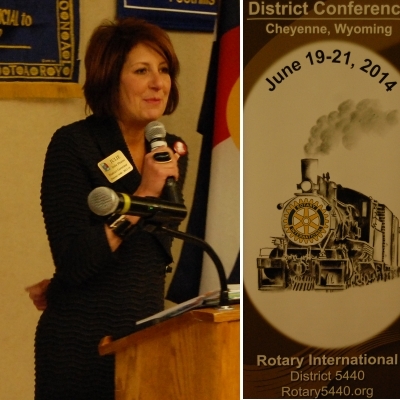 And then she invited us to the District Conference in Cheyenne, June 19-21. What a great holiday celebration we had today! It's time for Purple Pins! It's time again for the Purple Pins benefit, coming up on Sunday, January 26th! Bill put together a pledge sheet, so now's the time to get your act together. Download the pledge sheet here. Thank you, Kids at Heart, for the wonderful work you're doing in the community. 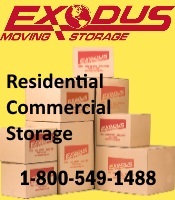 We're proud to support you! The fight against polio continues at full force! You can get much more bang for the buck from your donations! October 24th is Polio Global Awareness Day! Congratulations Cassidy Montoya, from Centennial High School, for the wonderful work you're doing with students in our city. What an inspiration! 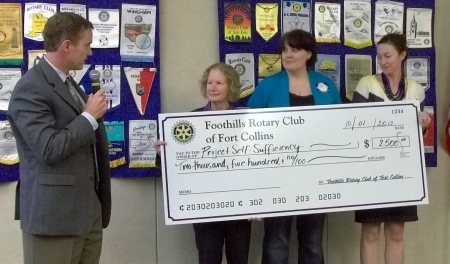 We are proud to support the wonderful impacts of Project Self Sufficiency in our community. They have such a powerful success rate with their graduates! 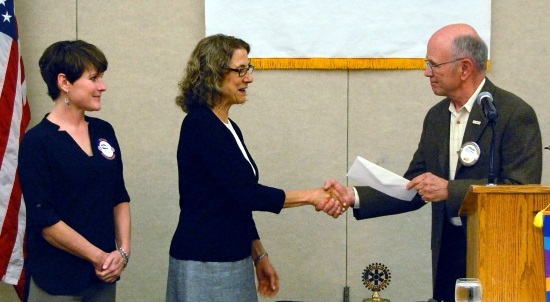 We are sponsoring four Rotary Scholars this year. 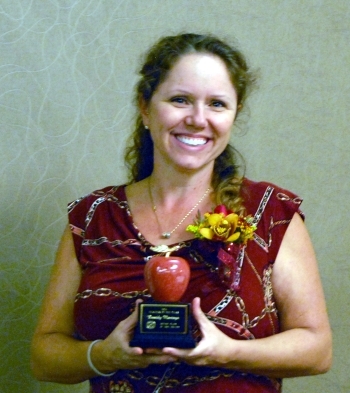 Fort Collins Teacher of the Year! 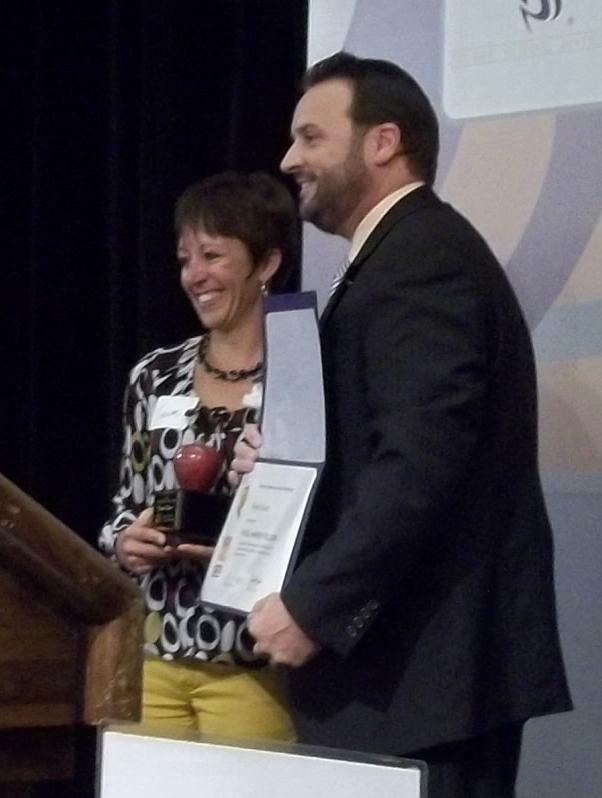 You just HAVE to check out all the great Teacher of the Year photos on Facebook! 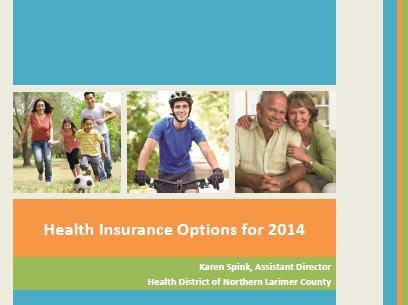 Here's the great article in the Coloradoan. I've been working with the “Life Saving Sisters” (the name they chose) Lego Robotics team at Bethke. We're proud to support Faith Family Hospitality for all the great work they do in the community. What a fantastic collaboration between area churches! Today our Foundation donated $500 to Judy Boggs in support of the District Polio Initiative. We're THIS CLOSE! Congratulations and our deep gratitude to the Bethke Elementary STEM (Science, Technology, Engineering, Math) program. Continue doing your awesome work! 135 adults, kids and grandkids came last year. Let's shoot for even more as last year's party was very fun and the more the merrier! Hog Wild (promise there will be more food), Perkins Restaurant (pies) and Supermarket Liquor will cater the event again. Also, count on a giant inflatable slide and the Balloon Lady! 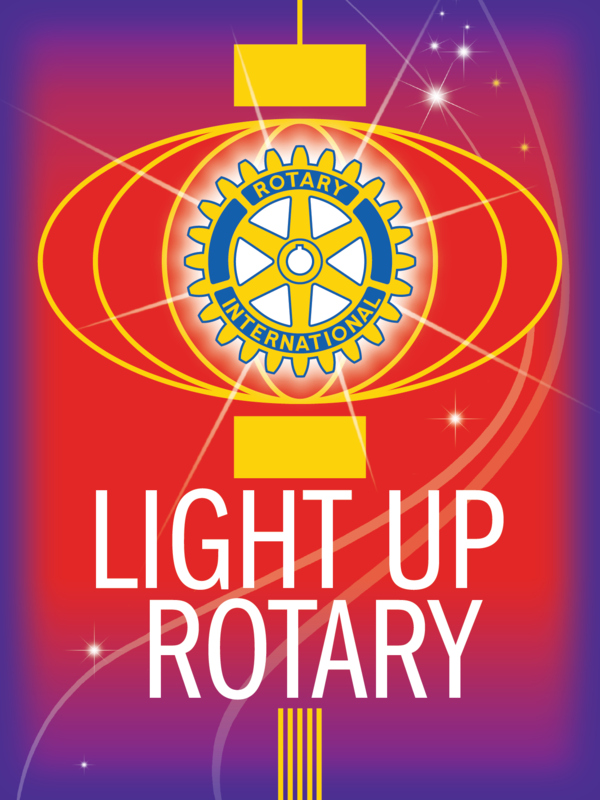 Please register you and your guests on the Foothills Rotary website and please include your email in case we need to do a mass communication before the event. Remember that you need to be signed up for Clubrunner to access the website now. Contact Carl Dierschow if you have problems. Dale, please share the following with the Rotary members. 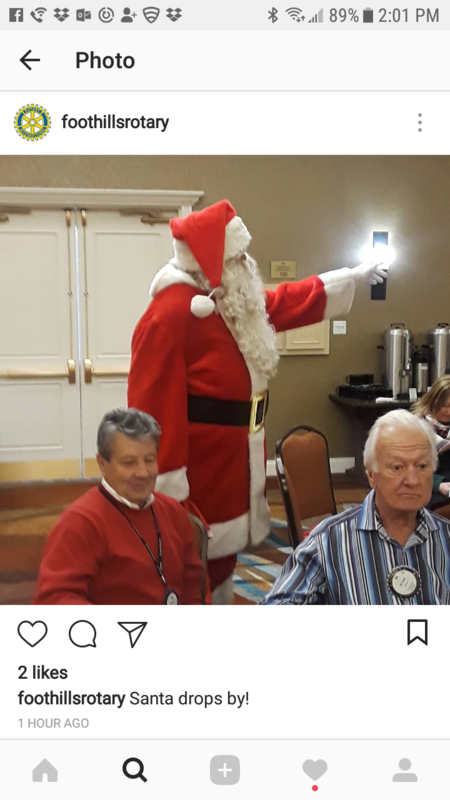 Hopefully Dennis can visit the Phoenix Rotary Club and stay active that way. Just another FYI - Thad Dunn is putting together "Team Hogerty" to Walk to End Alzheimer's in Loveland in Sept 17th- maybe some club members would want to join. Hi all: These have been challenging months for the Hogerty family. 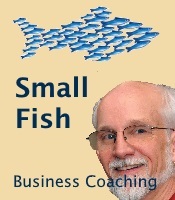 Dennis was diagnosed with early onset Alzheimer's Jan 2012, retired in June of that year and I retired in December. It's time to register for the club picnic on September 8th! Go to this event page and click on Online registration - Members. The Northern Colorado Business Report honored Linda Vomaske and Mary McCambridge as Women of Distinction on Wednesday! 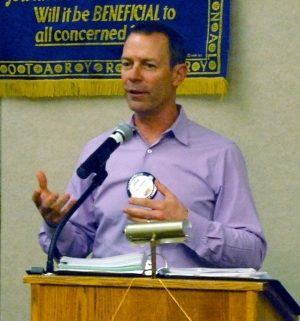 Our goal in 2013-14 is to Engage Rotary, Change Lives . 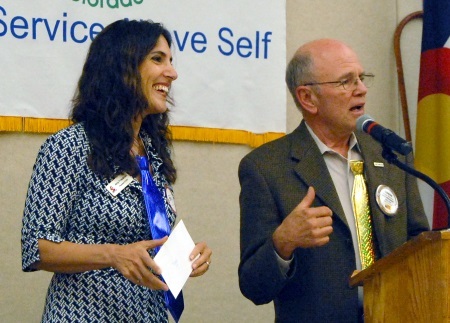 All of us know that Rotary has incredible potential to do good work. It's time to recognize how much more we could be doing and start working on new ways to turn that potential into reality. We're going to do this by engaging Rotarians – by getting them involved, by getting them inspired, and by making sure that all Rotarians know just what a gift they have in Rotary. 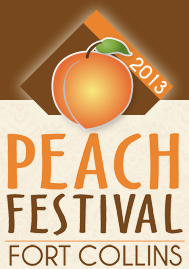 Peach Festival is August 24th! 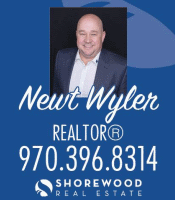 Sponsor the event! Tell all your friends! It was a typical autumn in Chicago in 1946. There was a brisk, cold wind out of the northwest. The Chicago Cubs had just finished another unsuccessful season in the National League. 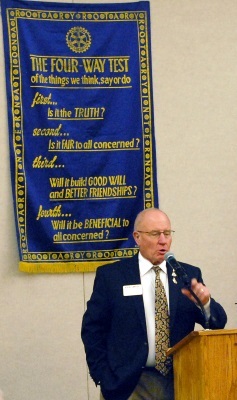 And Leland Case asked Rotary International founder Paul P. Harris to write another article for the Rotarian, the typical, obligatory "It's Anniversary time again, what's in store for Rotary next year?" article.